Our Auto Start provides peace of mind, starting and shutting off your wind machine at your pre determined temperature setting. 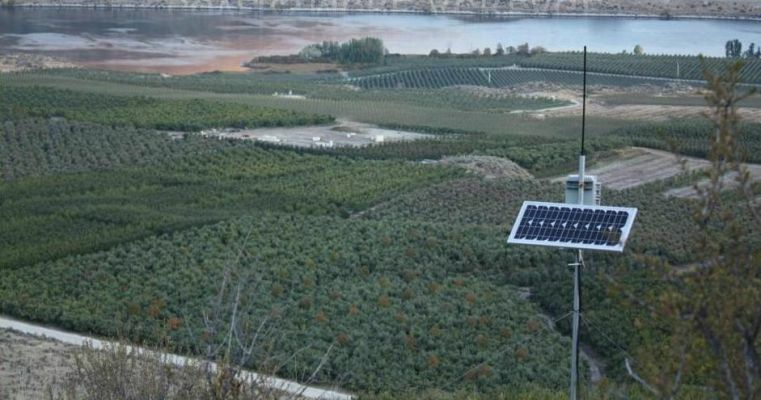 Telemetry is an up and coming application which allows orchardists to control fundamental operations from their personal computer. Discover what this advanced technology can do for your frost alert systems, irrigation valve controls, and wind machine controls. 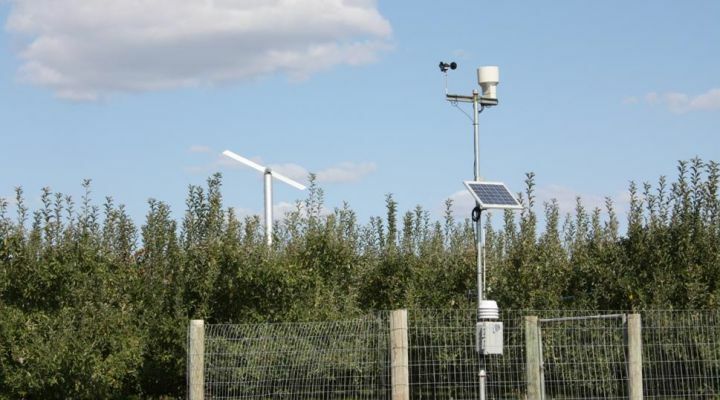 You will be able to harvest data for air temperature, humidity, soil moisture and remote flow pressure readings as well as rain, wind and solar. Investment benefits include reduced labor and fuel costs, improved productivity, alerts of pending frost events, remote monitor and implement loss prevention measures, and accurately utilize personnel and loss prevention assets, along with limiting over-use of fuel, power and water. Telemetry uses a system of sensor readers and output controllers that transceiver data to and from a PC at a central location. This can be via a PC port, radio, cellular phone, satellite modem, or data logger equipped with a communication device like a palm PC. The signal can be sent direct, or through one or more digital repeaters. Wind Machine Software Features: Radio Telemetry monitor of Wind Machine Parameters Setpoint, Arm, Disarm, All Stop via Radio Control Log Temperature, RPM, and Battery Level of each machine in its own file. Take samples at any rate desired. Status of Machine indicated in great detail Automatic Polling Update of complete system Support for Cellular and Satellite communications Change Maps and Edit Machine Names Multiple User Support Automatically Recognize Remote Units upon Powerup and add them to the Machine List.